Perfect holiday starting tomorrow – a world marathon major to run combined with a week of shopping with a lot of dollars to spend (I might manage a little sight seeing too)! Been really busy at work, that nice steady to the session has certainly gone but I am loving it! Been involved in some web design with front page and uploading that to Glow, helping with catch up glow training training giving training on the ASM role to support services staff and that’s just some Glow work within the last 8 days. 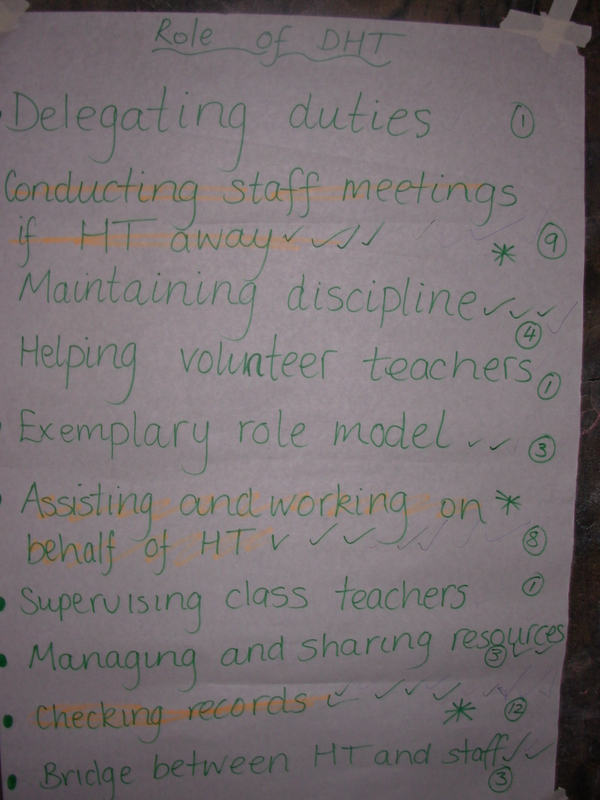 I have also given some presentations to AIFL named teachers on rich tasks and how to use them as an assessment tool, continued with my management and leadership certificate, presented on Malawi at a CPD twilight and went to my school’s parents evening and afternoon to talk about and show photos from Malawi. I am keen to keep my school involved especially as we are linking schools and keeping the parents informed is an important part of that. Also hoping they will help me with fundraising for the teacher’s house I want to get built in my village. The PTA are great and being supportive with this. I have done 3 school visits to help with getting passwords etc up and running. As a council we decided to ask schools what support they wanted in terms of passwords and then learning and teaching so that we are only now going to go out to schools who want the support and want to move on with Glow. Doing all of the ASM jobs is not exactly my favourite part but I am getting more confident the more I do it. I can’t wait to get on and help with learning and teaching in schools though. I am offering membership to my Malawi glow group out to quite a few of my schools, certainly for the glow mentor and an older class in the school so that the group continues to get used even though I am not in class. I am updating as I go along. I am particularly pleased with my gallery page where I have got 4 folders of photos like food, school, family life, village life and then I have a discussion web part below with questions set on what they can learn from the photos – one set of questions for each of the folders of photos. Now I just need to have a class actually do it! The children’s passwords etc have been straightforward but I am discovering a few anomolies with probationers, area and cluster cover and my own situation being on secondment! There is one school in particular that I think I am really going to like working with. I did a talk there last week (using GLow to show my pictures) on Malawi with p.6 and they were so well behaved but even more importantly asked such brilliant questions the whole way through that I just had a brilliant time. Things like how I felt about going, when I was there and how I felt leaving, what the kids thought of me being there, language barrier, what they were learning, and much more. Then today I went again to work with the glow mentor, whom I had met briefly a couple of times and even though she was at very early stages and did not know how to do very much she was so excited about it and could really see it’s potential. She was desperate to use it to help a child who is off on long term sick and to have a glow group for collaboration between her class and a p.7 class in another school as they already email each other. So I was able to help her set up those things and I am going in to support her in class after the holidays. Bonus of my leadership course being cancelled tonight – nice to finish early before a holiday and gave me time to do this. I will post up my self-reflection and action plan from the first module if I pass them; I posted them today. Reinforcing the message at insets! Each of the insets from Tuesday to Thursday would last from 9am to 3pm with a half hour break in the morning which we went for at 10.40am and lunch was an hour beginning at 12.30pm. Even deciding this was not straightforward as we had to decide what was going into each session and how long it would be. On the Tuesday as it was management and leadership there would be about 40-50 teachers there; mostly heads and deputies. On the other days there would be 70 as there was actually another zone that had been invited to come the whole week as well even though they had not had any global teachers. We knew from the outset that teachers would be late but we had to show a good example and start on time so we tried to start with something that it would not be too bad if people missed. We also tried very hard to stick to the timetable we had on display to show good practice with this. ‘The teacher is the most important resource in the classroom’. It became a mantra that we always had on the blackboards, timetables and flipchart sheets, as well as saying it all of the time. We actually ended up being a bit late starting though which we were quite annoyed about as we were ready to leave when Link said but they were not. It takes about an hour and a half to get to Tchetsa zone and we were picking up the PEA’s for both zones on the way so it was a long time in the land rover each day. So by the time we actually started and had the welcome and prayer most people were there; some of whom had travelled a long way to get there for that time! All of us were aiming to make all of our sessions all week as active as possible as again we wanted to set a good example. We also did walt and wilf, plenaries, other AIFL techniques, brain gym and self-evaluations. We started off with team building as our first session, after an initial ice-breaker. We used the characteristics of a football team for this to give an example and then had some group work on characteristics of an effective team. 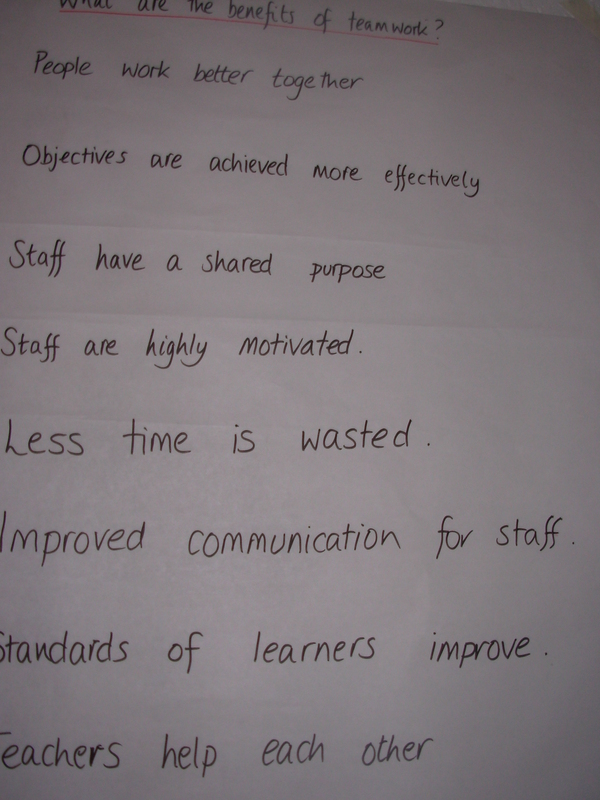 We had a flip chart prepared after that to show the benefits of teamwork. We asked the teachers to do think, pair, share to discuss what staff meetings could be used for and we during the share part of this we recorded the ideas on a mind map. I led this part and think I did pretty well in speaking slowly and being understood. I have the evidence of this as I was videoed doing this and on looking back afterwards I could see the improvement I have made over time. So now I will need to just pretend whenever I am doing public speaking that English is not the audience’s first language! It also made my accent not sound so bad, as usually I hate listening to myself but this was not so cringe worthy! We then displayed for them what we considered to be the elements of an effective staff meeting and discussed this with them. 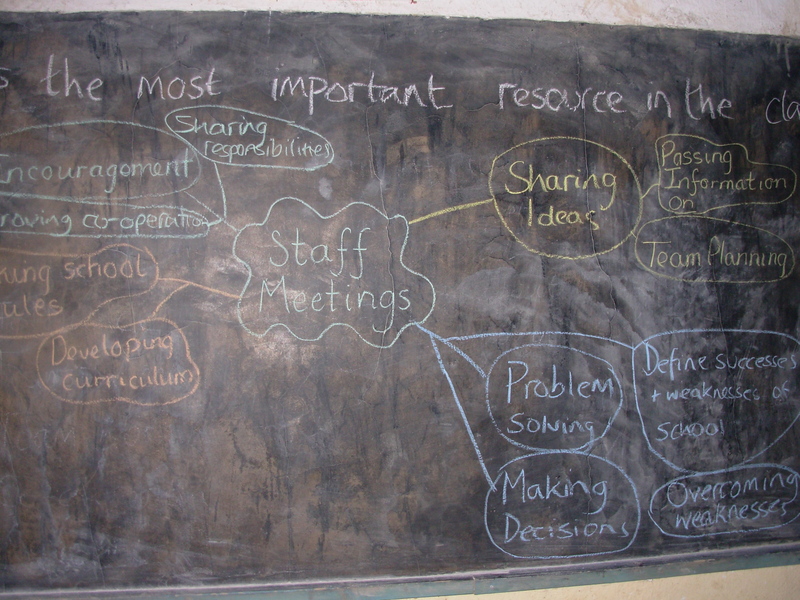 What can staff meetings be used for? It had been made clear to us that the teachers should all be taking notes for their own CPD and that they should come prepared to do this but also that some wouldn’t (!) so we bought pads of paper and pencils etc and dished them out. We decided to tell them that we would let them know when we specifically wanted them to write something down and be clear about what woudl be written for them to copy later rather than them either not writing anything or trying to write everything we said as we had also been told that some would not do it unless seriously prompted. We found throughout though that the teachers were more enthusiastic and willing than I think they had been given credit for and most were writing things either at break or lunch because they wanted to know it all. 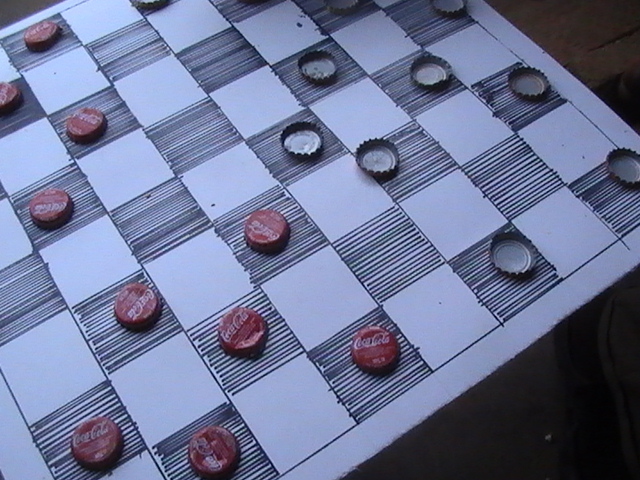 Use recycling to play at lunch! 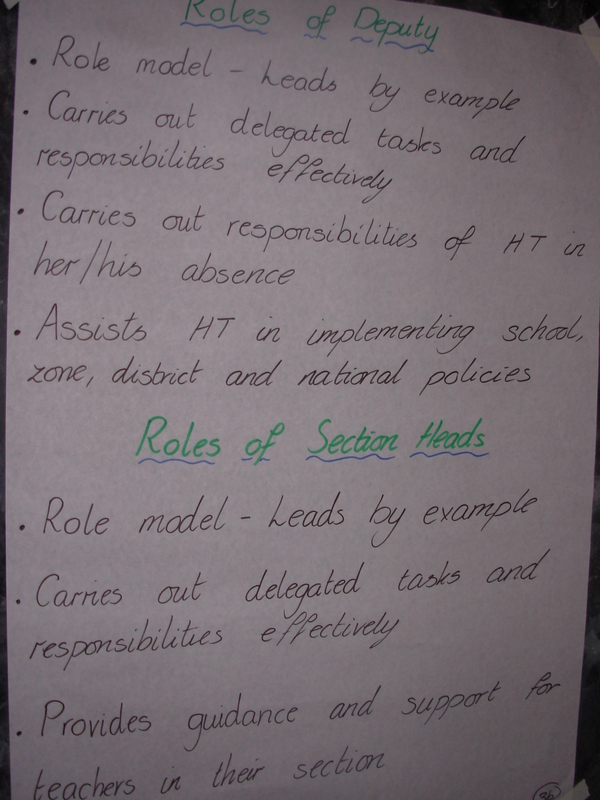 After break – during which they were given a bottle of juice and a roll and this happened again at lunch – we looked at the key roles of heads, deputies and section heads and split them into these groups for this. We asked them to brainstorm what they thought the key roles were and then decide on the top ten through voting individually for their top three and counting them up. I took the deputies and I had to prompt them for things like setting a good example on time keeping and things that we were trying to push the message across on. We thought, and this did happen, that very adminy things would come across and we wanted to try to get away from that. We then brought everyone back together and had some discussion with the whole group. 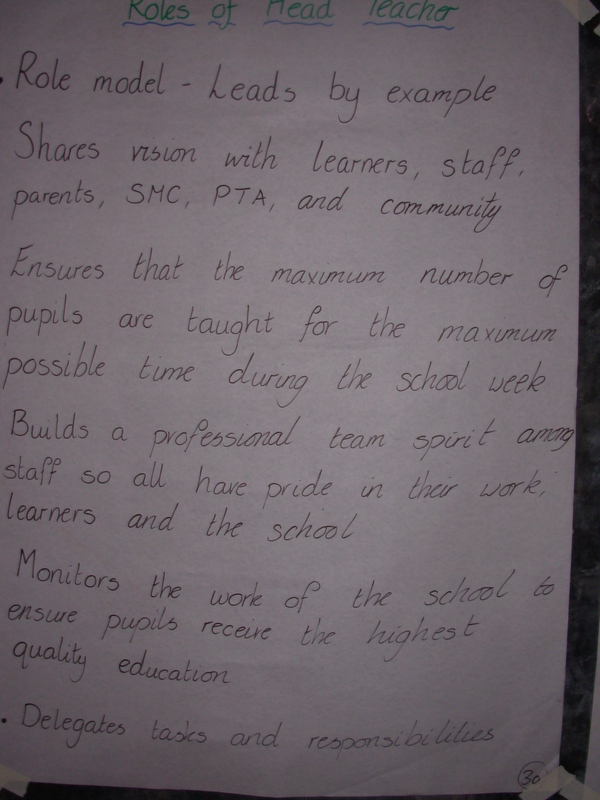 We then put our ideas up on flip chart paper (for schools here, not Scotland) and compared and contrasted them. Instead of saying any were particularly right or wrong we then asked them individually, and without having to share it, to think about whether they would now change their top three and record that for themselves. In the afternoon we looked at monitoring, and as with all of the day there was so much we wanted to cover and so little time that we had to focus on just a couple of things – these being timekeeping, timetabling and classroom observation. Why should teachers be on time? How can teachers best support learners? What is the managements role? We asked for ideas and stuck them up on the board too. We then gave them a list of strategies that they could use to encourage staff, trying to be mostly positive but we did also say what they should do if the situation did continue with an individual (and we had consulted the PEA on this). This did lead to one of the funniest moments of the day as one of our strategies was simply to praise and thank individual teachers who came to school on time every day for a week. Someone asked us for an example of this so we thought they meant a demonstration of giving praise !? I went for it (and drama is not something I am usually into) and laid it on really thick to Jill, who pretended to be the teacher as I pretended to be the head teacher. I was practically hugging her and going on about how pleased I was etc etc and she was nearly in tears as she was so grateful and so on. Well when we finished the same person said ‘so you didn’t mean a reward of money then’! We had a good laugh about it afterwards and hopefully it still taught them something. Emmanuel later said (as he sat in on everything) that he thought it was great and learned a lot from it so maybe the others did too as I don’t think they are in the habit of praising each other at all! Is the timetable being followed? What are the strengths and weaknesses of your school timetable? They were asked to give feedback on one weakness and one strength and then to discuss how they could minimise the timetable weakness they had just identified. Most of them had said the timetable was being followed, maybe because the PEA was in the room?, but then their weaknesses showed that this could not possibly be the case. 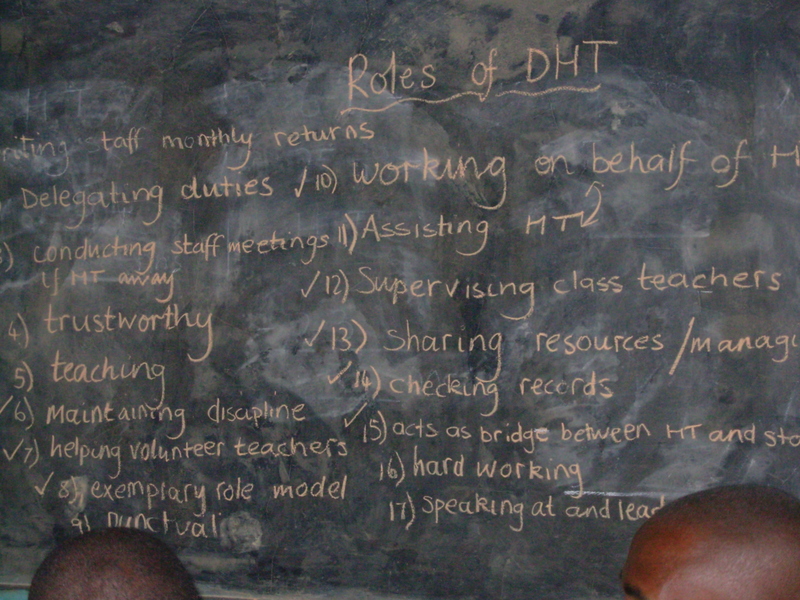 We gave them strategies to help them but this was where we ran into resistance as things like changing the school day, changing when maths and language was done or making composite classes some of them just could not see the benefits of. We did not have much time left for classroom observation but did ask them for their comments on what the purpose of a classroom observation was and then gave them strategies on how to do it. We did a role play on feedback with me being the head teacher again. First we showed a bad example of it with Jill being the teacher again and nearly in tears again but this time because I gave her such rotten feedback and then with Robert as the teacher and I gave him constructive feedback using 2 stars and a wish. They thought the one with Jill was hilarious as she was acting the part so well! They are on video to be used later! Each day we did a recap and an evaluation and although we handed them into Link I kept a note of some of the comments and will write them up later. It was the first time I had experience of having written feedback on inset I delivered and as soon as we were in the land rover I read them all out to everyone – which was not easy in the back of that and on such bumpy roads. I had already been feeling like I was getting a bit of a cold but ended up running back the last 3 miles or so to the hotel – in the dark and feeling awful, one of my worst ever runs. Check my running blog for the full story of why I ended up doing that; Emmanuel was so helpful about dropping us off but I would rather not have gone, didn’t feel I could say that though! Straight to bed after the meeting with no dinner! I was off on Wednesday with Jill and Kirsty, unfortunately I was feeling pretty lousy with the cold and had no energy as I had not eaten any dinner the night before after a really bad running experience. I still did not feel like eating today as I had a bit of a sore stomach too so although we went to Dedza pottery for lunch I only ate a bit of a roll and a scone. Other than that I only ate some tea biscuits and rice just to make sure i only had plain stuff. There are a few touristy shops in Dedza – and we went to them all! I got some pottery to go with what I bought last year and some cards but apart from that I was pretty sensible. I got a lot last year and I had so many gifts to take home I did not have much room in my bags! It felt really weird being at the meeting that night when I had not been out doing an inset during the day. Stayed up afterwards to do more planning for the next day with Jill and Kim. Back off to Tschetsa today with Jill and Kim, Roger and Emmanuel. I was feeling rubbish with the cold still and it felt like a really long way to get there! Most of my staff were there today and this would be the last time I would see everyone except my head teacher. It was literacy and numeracy today and we started with literacy and more specifically phonics. We asked for some think, pair, share on what literacy meant to them. We gave thinking time first and they were getting used to this by now but at first on Tuesday it had been really hard for them. We had gone for one minute thinking time but we were lucky if they managed 15 seconds. Better today though! Kim led the next session for nearly an hour on phonics and she was amazing! We looked at making sounds and simple words with the most common sounds in english. 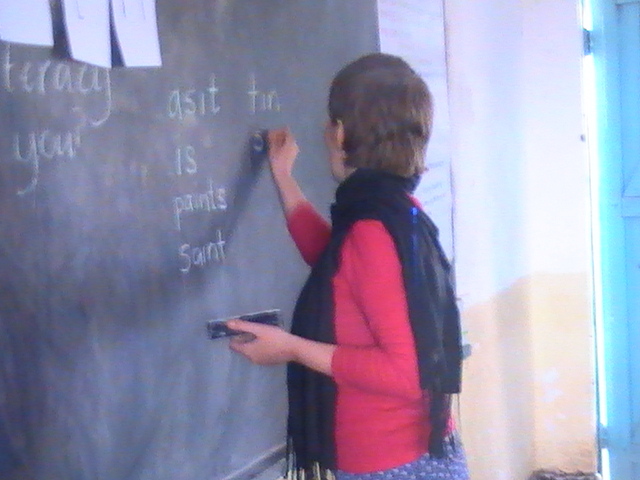 We then asked them to think of the 6 most common Chichewa sounds, which took a while, and then we made some common words up with them. This does not sound like much but we spent quite a long time on each bit and the teachers were very interested in it and very enthusiastic! We split the time up with some brain gym and then did some literacy activities before break, which we just did between us. We put a group of words up on the board and they had to spell them on each other’s backs, we also had them try to make other words with the word ‘hospital’ which they were very competitive about and some other activities which I now can’t remember, or understand what I wrote now! After break we moved onto mental maths and filler activities. We specifically wanted to show activities that the teacher did not have to be there, since that happened a lot! It would mean children would still have a useful activity to do. We started off with the counting stick, including crossing over 100. We used sugar cane for this to show them another example of talular (teaching and learning using locally available resources) and they got to keep the sugar cane afterwards, which they closely guarded! We had had to stop on the way to get sugar cane and we cleaned out the boy at the side of the road that we stopped for. He was delighted as he was now off the hook to go and play all day! Again we just split all of these activities up between us and did rythmn clapping next in different ways and the pendulum swing. We then played slam which went down an absolute storm, once they got the idea! We put numbers on the board and they had to give sums that made that answer and played countdown. There were some other activities we did as well and we made sure we discussed ways of encouraging thinking and participation particularly in games like countdown. 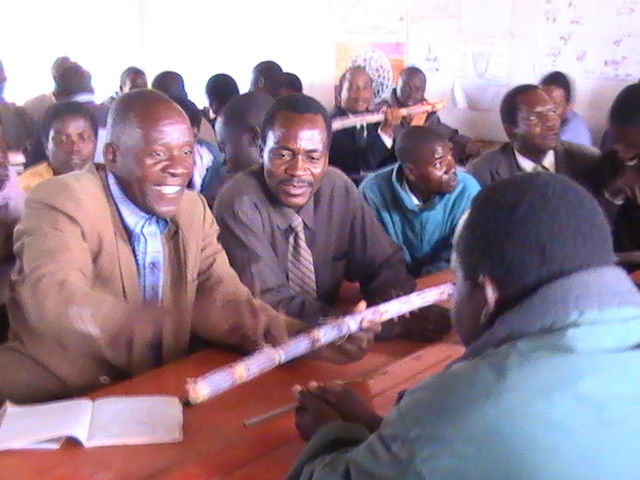 The PEA, Mr Balaka, did the next part which was great as we had wanted them to be involved. He did self and peer assessment and had them moving about, discussing and being active. I have lots of video clips of today which I will try to make into a more coherent short film and post at some point. The October holiday would have been the perfect opportunity but the Chicago Marathon is going to get in the way! Mr Balaka was good but his style was still so totally different to ours. Not that ours was perfect, although KIm and Jill were amazing I thought, but he was not as encouraging, it was more of a ‘you must do this without question’ way of doing it I thought. Great though that he was getting involved and on something so important as self and peer assessment. The teachers were a little resistant to soem of this as they thought it would encourage cheating. In the afternoon we were doing a session on developing literacy using books, well really Jill was doing it! I videod the whole thing as she was so good. I told her afterwards it would be perfect for showing students as a model lesson. She had the book of The Hungry Caterpillar, told the teachers they were all going to be children for the afternoon and proceeded to spend 45-60 mins telling them the story. Of course she started with the cover and pictures, the back, the author etc and told the story asking many open questions the whole way through and using wonderful expression. It felt like a real privelage to be watching it and the teachers absolutely loved it. I was supposed to follow this up with how to use books for older pupils and we had wanted to use the textbooks they have but they only had one copy at the school as the older ones take their books home. We were also really running out of time and I just had time to show them how to ask questions about the title and the one picture while then describing how they should read it with the children, and make sure they understand the english etc. 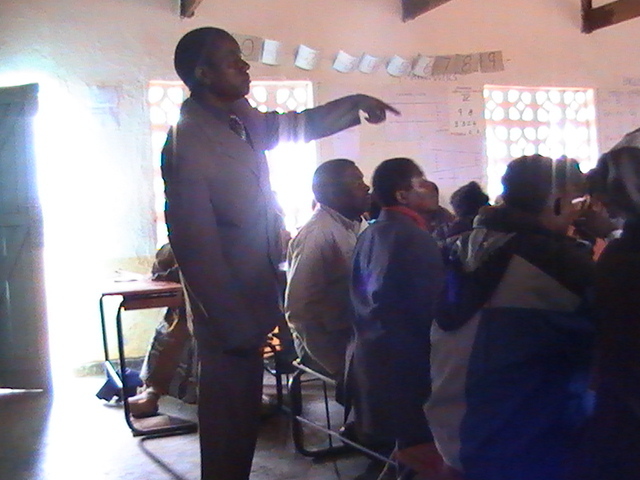 We hit home on that point as many times as we possibly could; that there was no point in doing all of the teaching and reading in english if they did not understand and that it was okay to explain in Chichewa. I was feeling better today stomach wise and asked Emmanuel if it was possible to stop in Mayani for chips, especially since I had helped him do the money all lunchtime. (This was reimbursing the teachers for their lunch and travel expenses.) Of course he said yes and I did enjoy them! They are much nicer than the chips here as it is nicer potatoes, the chips are cooked fresh for you and the oil seems nicer. 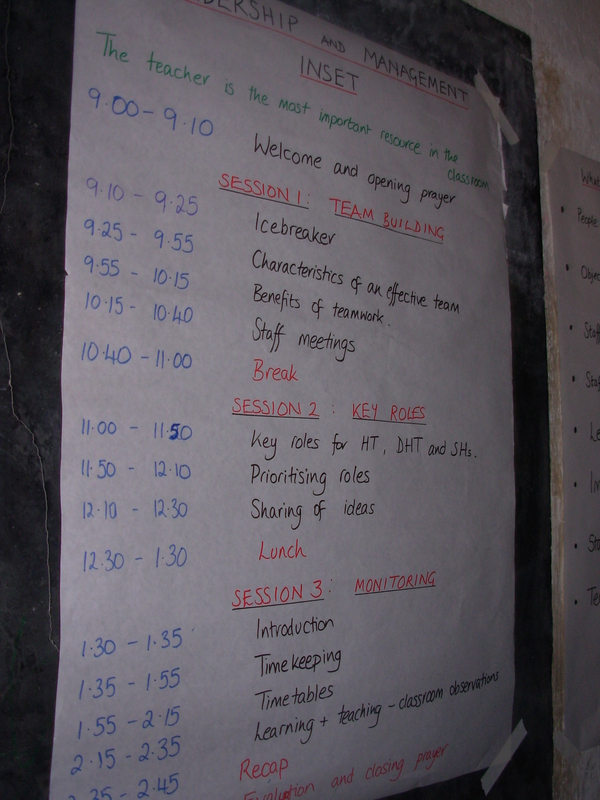 We are really late back every day coming all the way from Tchetsa and we were pretty much having our meetings nearly as soon as we got back, as even though we finished the insets at 3 it was much later than that when we actually left as we would be talking to people etc. I found it hard to today to say bye to Mr Kalivute, the deputy head, as he had been so great and Jill’s family lived right beside the school and she had to say bye to them. I was crying for her just about as there was a young teenage boy in her family who had been really great and had been very upset to see her go when we left the villages that I met today and had to watch them say bye again. Sharon, Shiraz, Maureen and I spent some time in the evening preparing the inset for the next day on p.e and a general recap of the week. Sharon and I had already done a lot of it one night before dinner – in bed as it was cold! We were so busy doing it we did not even notice the electricity had gone and I was managing to write in the dark. When someone came to offer us candles they thought we were a bit odd! As it was the last day it was only going on until 12 o’clock which meant there was not that much time to do a lot. We were going to Sharon’s zone which was nice not to be travelling so far and to see somewhere else, and we got to have Emmanuel as our driver still so even better! I commented to Sharon that we were doing the equivalent of getting **** faced every night, except with chocolate and crisps rather than alcohol. I had been so good in the village but it was partly tiredness and the cold etc, I just really wanted comfort food even though I was really enjoying myself. We even ordered tea one night and got into bed with our tea and chocolate – bliss! Although we were trying to write our big evaluations at the same time – not so blissful now! Our diaries also fell way behind this week and I finished writing mine up on the plane which is why I keep having to say I have forgotten things from these days! I had three girls teaching the class first thing on Monday morning and it was quite different to when the boys did it although there were common factors too. They were going to be doing fractions, percentages and angles – a bit of an odd combination but never mind. They explained well what it was the lesson was going to be about so some good WALT and WILF at the start. 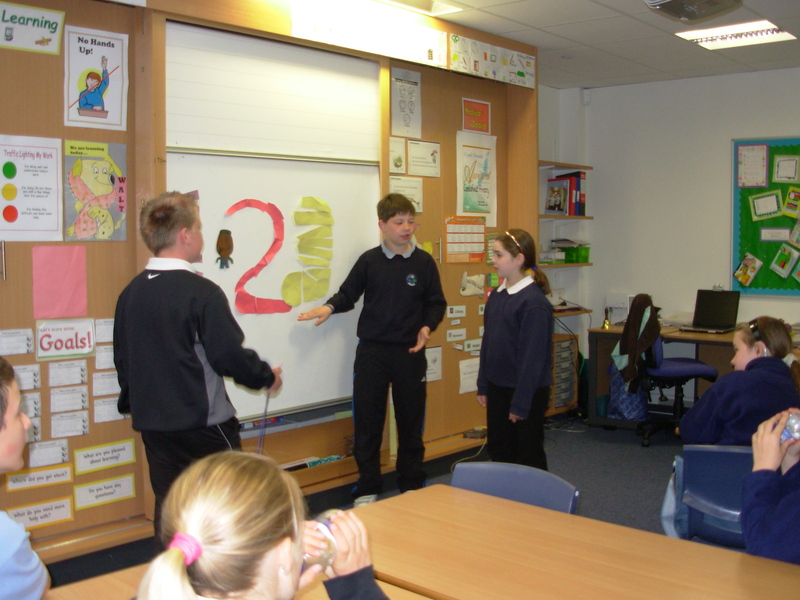 They then started off by doing numerators and denominators which I am ashamed to say none of the class knew! 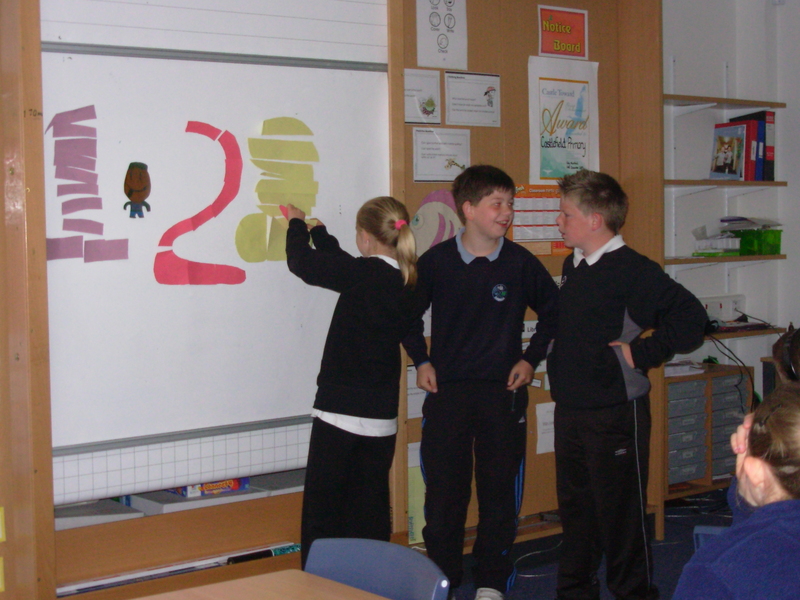 They had various questions and bits of teaching they did on the board to do with fractions which they did well although it was a bit easy. They were good at trying to encourage everyone; for example they kept asking if there were any circles who could answer (my lowest group) and then later people up at the back when they had not been joining in enough. They then did percentages which again was a bit easy and it took a while for them to draw their things on the board. 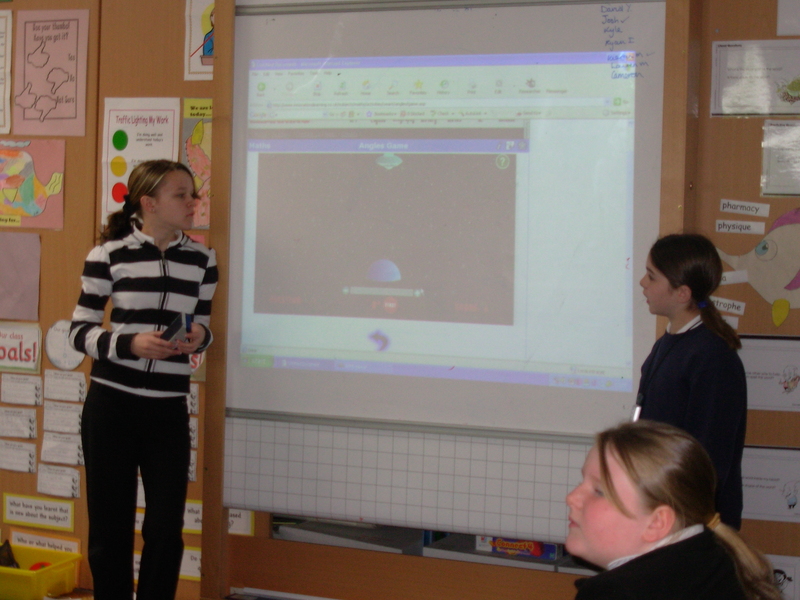 They had good games on the internet that they got the other pupils to do for both fractions and angles. The unfortunate thing during all of this though was that the listening from the others was really poor. I did interupt a couple of times to stop it but they were unsettled all day, not just for the girls. The thing was that the girls were quite quiet and just talked through the noise without feeling able to get the others to be quiet and listen first. The difference with the boys doing it was that they just shouted over the rest of the class to be heard!!! They had prepared really good worksheets which had explanations as well as questions on them and were differentiated for each group. They were trying really hard too and saying some really good stuff and were very enthusiastic so I felt quite sorry for them. The problem was that my pupils were going for their secondary visits on Wednesday and Thursday and were just as high as kites all Monday and Tuesday. I found those two days really hard work! I have just realised that I forgot to do the self-evaluation with them and the class and am disapointed about that as it was really useful last time. With my class away on Wednesday and Thursday I got the chance to cross off quite a few things on my to do list, although of course in my experience being a teacher means it is never empty, you just keep adding more things on the bottom. I covered in primary 4 for a while on Wednesday morning though and that was lovely as they are a really nice class and it was a good change having the younger ones. They actually listened the first time you said something! Monday: Took p.7 to Choices for Life at the Clyde Auditorium in the morning, dropped the kids back at school and straight into my car to go to the Advisory Service for an ASG meeting. After that drove back to school and was supposed to have about 45 mins before a council Curriculum for Excellence meeting but I ended up doing a lot to help set up laptops etc for the people organising it. That finished about six and I went to Braehead to buy more webcams for the school on the way and ended up playing about with them and with Glow until 10.30pm. Tuesday: Out of class first thing as we thought our Glow mentor was coming in the morning so I did some stuff on Glow. Photographer in from the local paper to take P.7 class photo. In class from interval to lunch doing reading national testing at levels C, D and E. Out of class in the afternoon with the glow mentor while my class sat their second reading national test. Cycling profiency after school, 10 mile run and then some work at home in the evening. Wednesday: Out of class until interval having review meetings for pupils going to secondary. In class the rest of the day. CAT night after school. Worked at home in the evening. 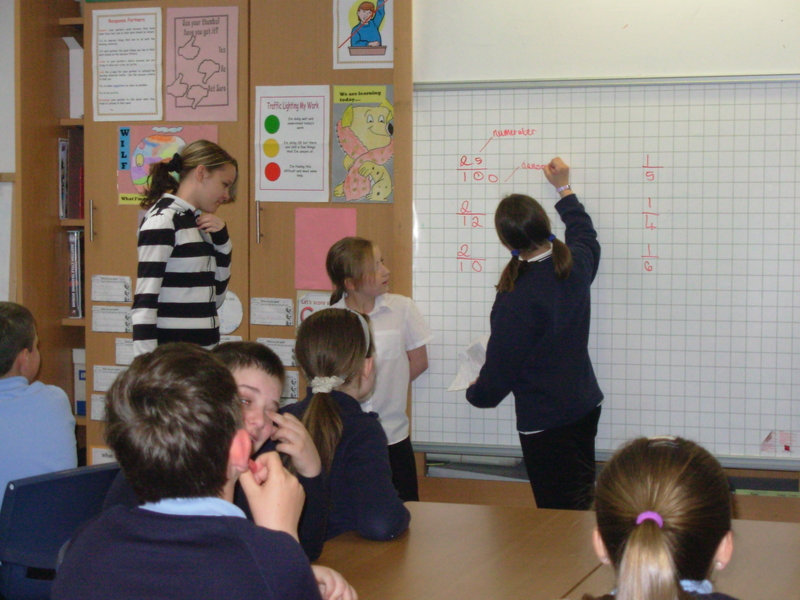 Thursday: Nurse was in to do p.7 puberty talks so a little maths first, then p.7 girls talk. P.7 boys talk after interval until nearly lunchtime. Some CCC time after lunch so went down to Cathkin High to collect headsets and things to use with Glow Meet. In class 2.15-3.00pm. After school I had the other teachers who did the rich task round to the school for a last meeting and to collect all of their stuff that I had borrowed for the Headteacher’s conference. Friday: Out of class until 11.45am having more reviews for pupils going to secondary. In class for 15 mins and then setting up computers for Glow Meet while the pupils were at ‘Star of the Week’. In class until 2.30pm and then out doing Glow Meet. 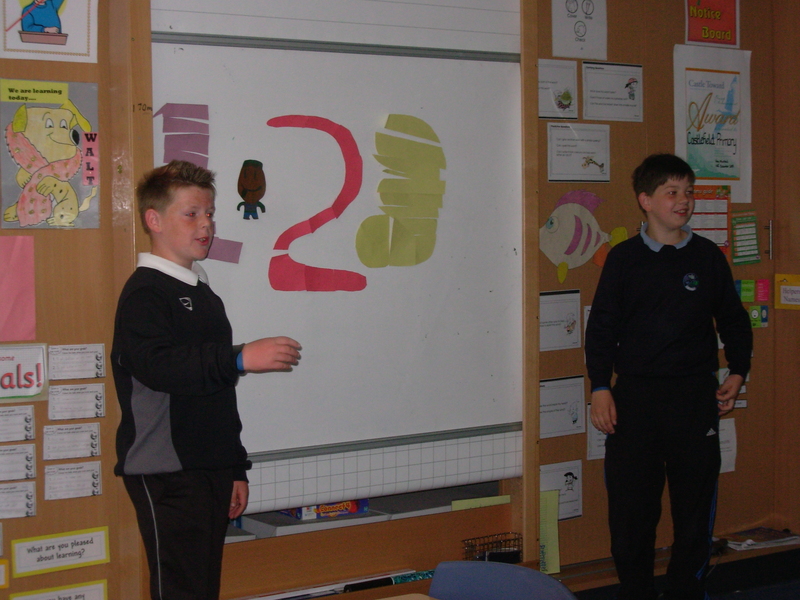 On Thursday I had the first of my kids who were going to be teaching lessons out to do their lesson on decimals. It was two boys and I think they spent more time arguing between themselves about who was doing what than actually teaching anything. I recorded the whole thing, it was good fun but I am not sure the children learned much. The boys did some explanation, using a powerpoint presentation, played some games with the class and gave some written work. They were not sure enough of how they were going to play the game and the written work was a bit easy for most of the class but they made up for all of this in enthusiasm! I also recorded a self and peer assessment session at the end of the lesson. The children were very positive about the lesson – more so than I would have been but they are popular boys within the class and this may have something to do with it. I prompted the two boys who had done the lesson to say what they thought about controlling the lesson and that was interesting. They thought the listening was quite good, I would have said the class was safe and in their seats but very hyper at some points! Really looking forward to doing more of this next week. During this busy week, and last week, I was busy trying to get Glow Meet going in our school so that I could video conference at a conference in Aberdeen on Glow today. Eventually I managed to get Meet working but then still had to get RM to install the webcams and get the sound working. This has taken up most of time at school this week! The webcam on my laptop was set up on Monday and worked fine but when we tried out Glow Meet the sound would not work. I could hear the others but they could not hear me. Tried to get RM to install the other webcams on the notebus trolley laptops but this was completed in time, there seems to be some problems with it, and could not get the sound on mine working at all. I am usually in school at 7.30am but due to all of this, I have been rather earlier this week including 7.10am this morning! Eventually we had to use my laptop with the webcam on it and log in with another laptop with the sound working on it. I worried all day that it would not work when the time came but after a slow start to get in it did and I had two girls speak. They were really funny as they had prepared stuff to say and were ready to do that but were not prepared for actually saying hello or introducing themselves! They did well when it came to saying their bit. The last thing I told them was to go slow and for once they actually listened and ended up going really, really, really slowly. I am biased but I thought they did well!